I swear, once upon a time Boxing Day activities were limited to cold meats and watching telly. Trust me – there’s not much a shopaholic Brit loves more than a bargain. Of course, it’s not always cut-price clothes on offer – anything from toys to gadgets to food end up in the Boxing Day sales. The day is often hailed as a chance for retailers to claw back from a disappointing run-up to Christmas. I was working today, which meant the inevitable Boxing Day chat with some of Cardiff’s intrepid shoppers. To be fair, it wasn’t nearly as busy as I thought it would be, especially after seeing the pictures of the humongous queues. What most shoppers had in common though were oodles of bags, filled to the brim with Boxing Day goodies. When you’re not buying any clothes at all, or trying to cut down on your shopping habits, Boxing Day sales can prove a little tough to handle. Especially when everyone else is rooting through the rails at New Look or Topshop in hunt of the best bargains. The answer is simple, of course: stay away! And anyway, at least it means you won’t be stuck in the queues. On the plus side, sometimes you’ll find your favourite fabric shops and haberdasheries are also having a post-Christmas sale. John Lewis often has discounted fabrics (they weren’t open today in Cardiff – their sale starts tomorrow), for example. I hope you’re all having a great festive period – truth be told, I wrote this really quickly just to get back into the swing of post-work blogging. If I’m completely honest, the last few months haven’t been so brilliant, meaning I’ve let a lot of my hobbies slide. But! Things are definitely looking up and I’ve got a scheme to make sure I don’t lapse in 2014. 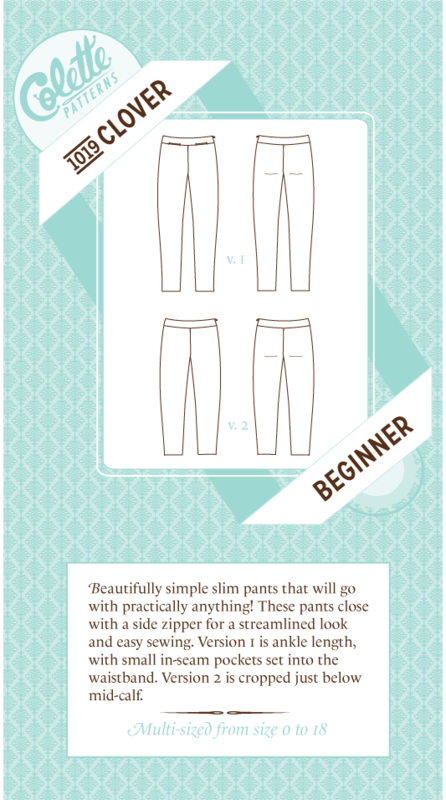 Who’s ready to tackle some trousers? If you’re still ambivalent, check out these patterns for inspiration. They should all be suitable for beginner/intermediate sewers making their first pair of trews. 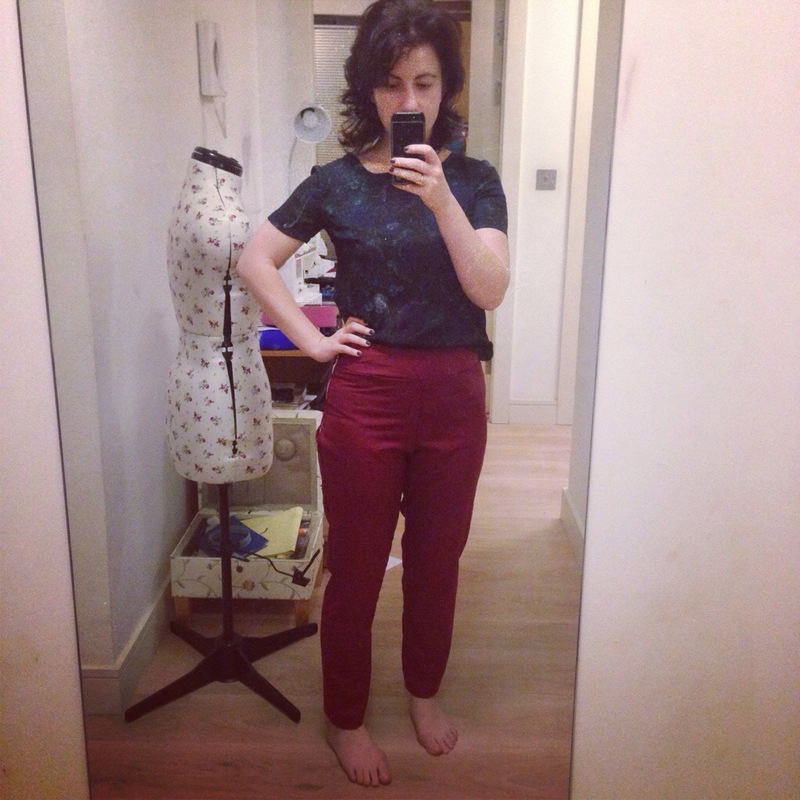 Thurlow is a great pattern from Sewaholic which comes in two versions – you can either make a pair of cuffed shorts or full-length, slightly flared trousers. 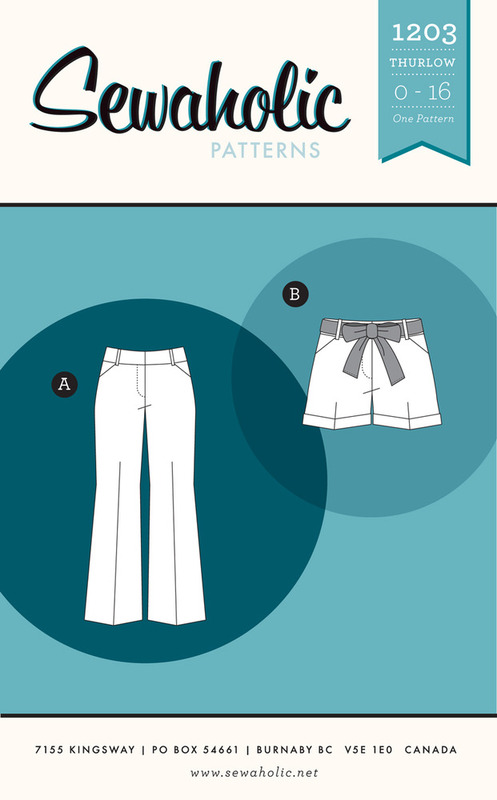 According to the pattern’s description, the centre back seam has extra-wide seam allowances, which should be handy if you have issues with trousers fitting properly at the waist. A more challenging aspect (which takes it up to the intermediate zone in my opinion) is the front fly zipper. But if you’re ready for a challenge, then there’s no reason you can’t have a go. 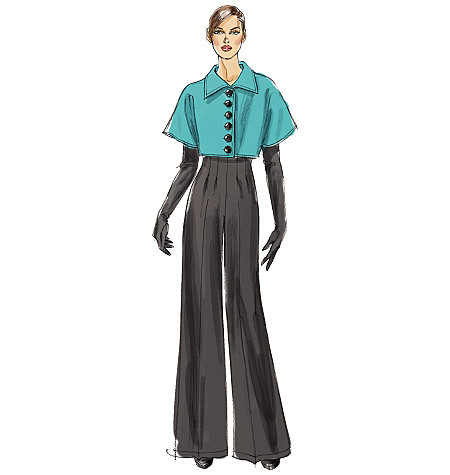 You all know I’m a big Gertie fangirl, so I couldn’t not include these trousers from Butterick’s Patterns by Gertie range. Probably not an ideal length for the UK’s plummeting temperatures, but the cropped length on this pair is really cute. An extra bonus is no fly-zipper, hurrah! Instead, the zip’s at centre back of the trousers. There’s also a great cropped shirt with kimono sleeves included to boot. Rochelle made a pair of these not so long ago and it’s definitely worth reading her review of the pattern – it seems there can be some sizing issues if her experience is anything to go by, so be sure to make a muslin. And I’ve saved the best ’til last. Well, the best in my humble opinion. 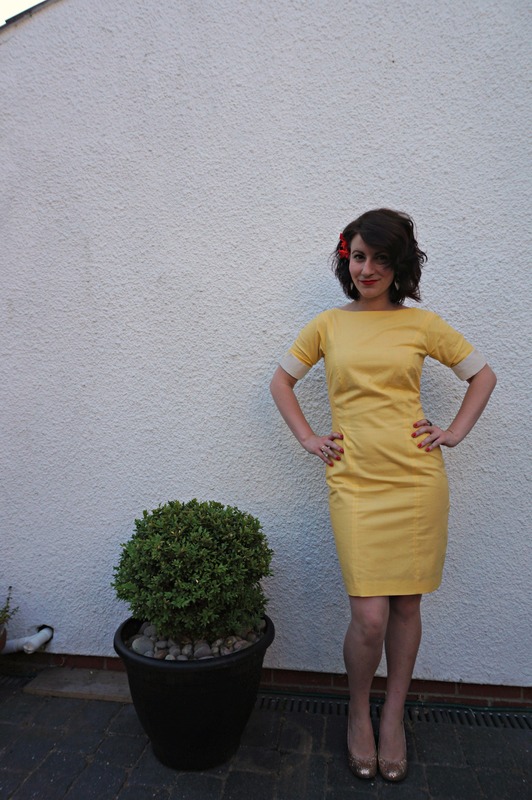 I’ve decided to go for Clover from Colette Patterns – I love the shape, I love that it comes in two lengths and, well, I’d already bought it before I wrote this post. Ha! So Clover it is. I’m hoping they won’t be too much of a nightmare to fit, but the pattern is classed as suitable for beginners and – you guessed it – there’s no fly to worry about here either. Anyone making one of these patterns? Or are you planning to go for something else entirely? And in case you’re interested – I made a little Pinterest board of these patterns made up by other sewing bloggers. Last week, I told you all about my lovely new project, in which I’m basically trying to sew all the things I’ve been telling everyone I definitely can’t make. 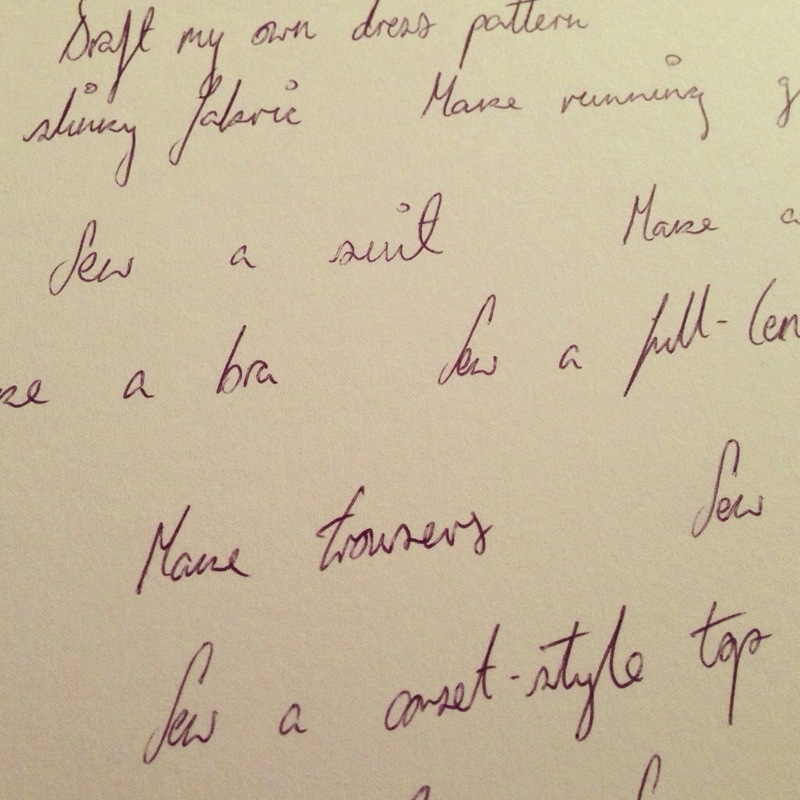 And it seems I’m not the only one with a few sewing no can dos – one especially. Who knew trousers could inspire such fear? 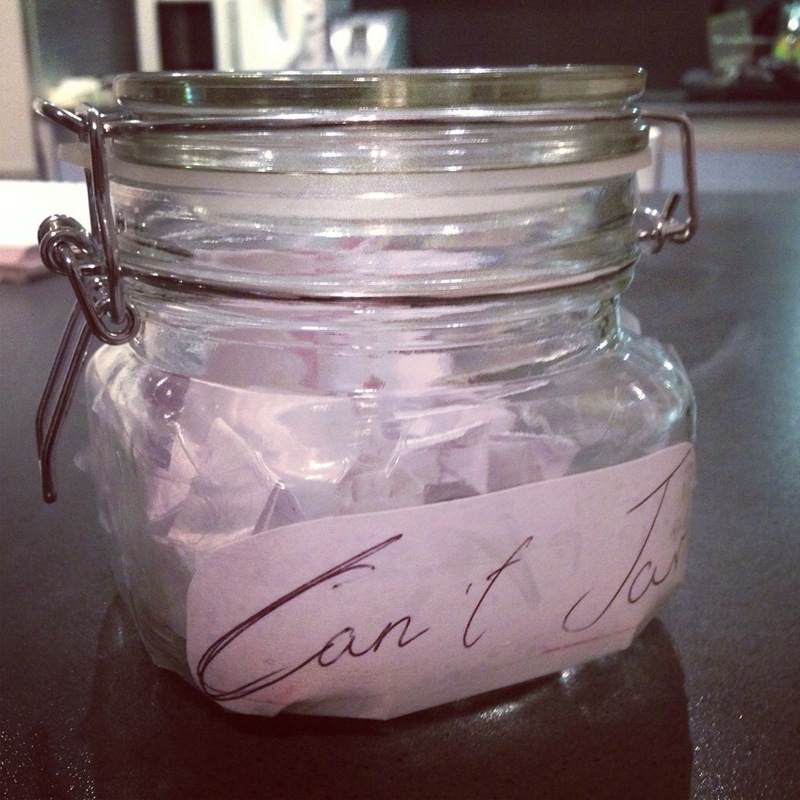 Oh – and guess what I picked out of my can’t jar first. Folks, it’s time for a bit more positive sewing. We all need some upbeat stitchin’. And that means SEWING SOME TROUSERS and maybe doing some pushups to prepare. I don’t know. I’m new at this. Borrowing heavily from our pal Rosie the Riveter, this project/sewalong/whatever this is shall henceforth be known as WE CAN SEW IT. Because if you’ve got some fabric, a sewing machine and some thread, you can probably sew just about anything – you’re just telling yourself you can’t. I’m not going to put a time limit because it’s probably going to take me an absolute age to make my trousers. But, to help you along, I shall be posting some tidbits on patterns, fun tutorials I find in panicked google searches (I foresee interesting results when it comes to fitting the crotch) as well as the heap of mess which will spew forth from my beleaguered machine. Want to join in? Well I only bloody have a hashtag for you to use, don’t I? Lovely! It’s #wecansewit. 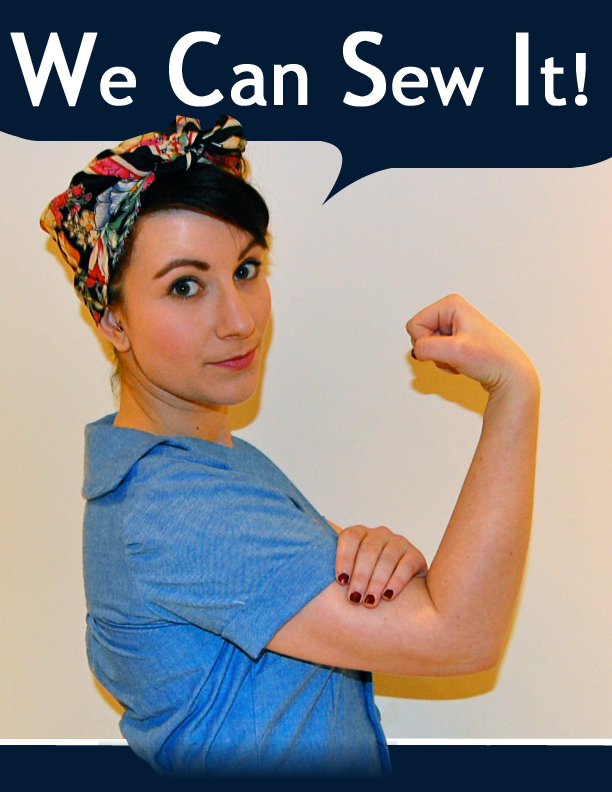 Even if you’re not sewing trousers this time around, do share if you’re tackling a particularly tricky project. WATCH THIS SPACE! 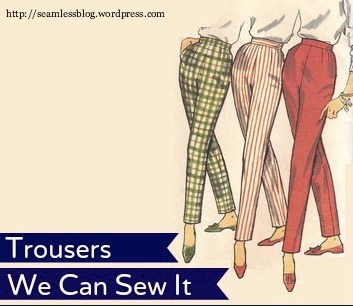 Those of you who do follow me on Twitter probably already know which pattern I’ve chosen, but I’ll stick a post up with some good beginner trouser patterns later this week. Tomorrow, I promise* I will drink less caffeine.